Joan Marie Cusick and Jacqueline Lucid-Cusick voted early, then proudly photographed their "I Voted" stickers. "Thanks for our great neighbors who came out to vote," said Judith Berdy who organized a team of 25 poll workers who fortified American democracy with a day that started at 6:00 a.m. and didn't wrap until 11:00 that night. 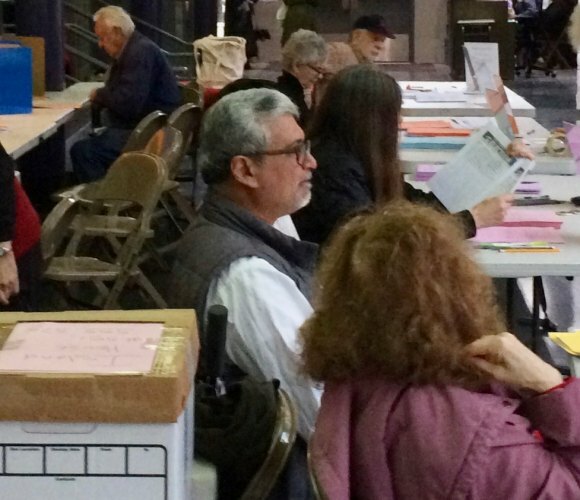 Altogether, the team handled 2,331 scanned ballots, covering all Roosevelt Island complexes. Voting took place at PS/IS 217 as well as inside Coler Hospital. Higher than usual midterm voting required managing orderly lines at voting machines. And there were none of the jams, confusing, malfunctioning machines and other frustrations witnesses around New York and the country as a whole. Poll workers earned $250 for their long day of helping voters understand ballots more complicated than usual and navigate to proper locations for verifying registrations. 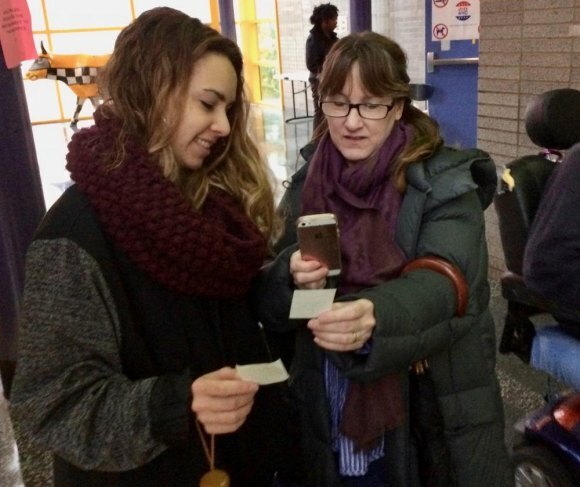 An unrelated team of uncompensated volunteers worked the voting operation for Roosevelt Island Residents Association candidates. 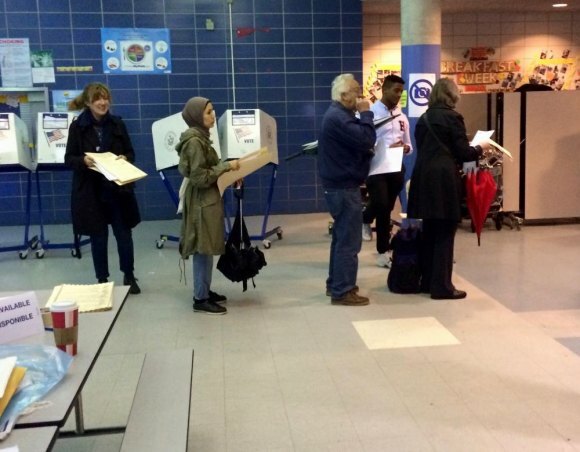 Volunteers staffed Roosevelt Island Resident Association voting. "We are proud of how well we all work to make our elections easy and smooth running," Berdy said at the end of a long day. 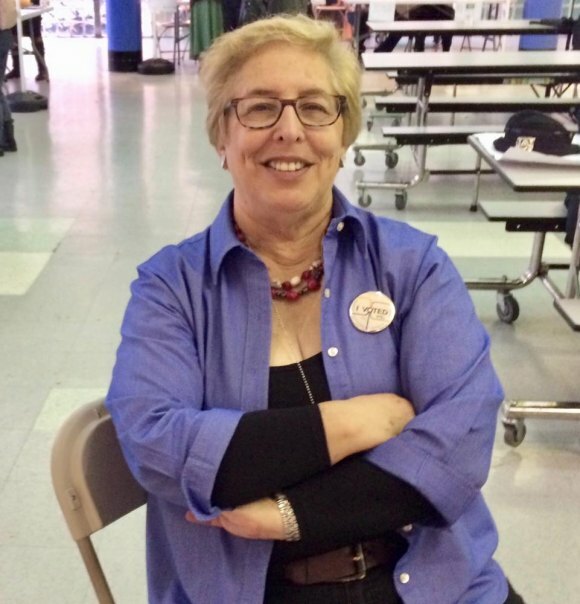 For Judith Berdy, successful November 6th voting marked the culmination of weeks of effort. "Thanks for our wonderful poll worker team," she added, a sentiment shared by the entire community.